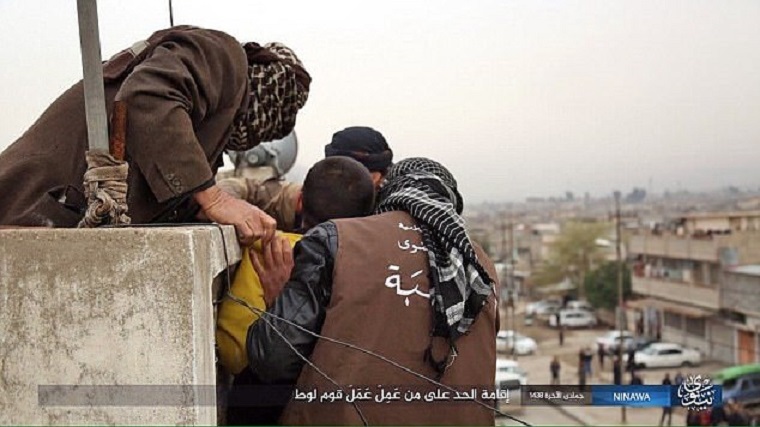 ISIS has tossed a young man off the roof top of a building, to his death. But that wasn’t all. An angry mob was at the bottom and then pelted him with rocks. So, why did this happen? Why do you think? The boy was gay. The uncivilized mob released images of the public murder in Mosul which was committed in the name of Allah and Islam through Sharia law. There was a crowd of people that had collected to watch the youth take his final breath and throw stones at him just to finish the job. Again, all because the kid was gay. The victim was blindfolded and cast off the roof, according to local news reports, before he was stoned to death by the bystanders on the streets below. 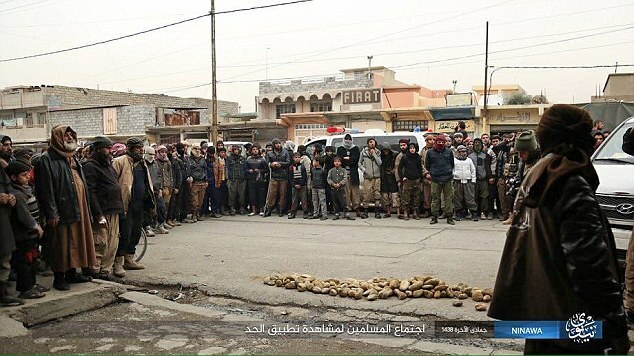 Savage followers of ISIS had even lined the streets with stones, ready for locals to attack the man with them when his body hit the ground as seen in an explicit set of pictures. We have already known that ISIS was doing this, because they have done it countless times before. It was only a few months ago that the sick terror group did the same thing and hurled a prisoner from a rooftop before a disgusting mob of fanaticals pelted his corpse with rocks – and why was that? Once again, for being gay. The innocent boy was carried to the top of a building in Maslamah City in war-torn Aleppo, Syria, having been suspected of ‘homosexual relations’ late last year.